When I first started pursuing home-based business ideas, the best advice that one of my mentors gave me was to never give up. While I haven’t come up with my breakthrough business idea and still work my business part-time, I have had lots of personal and financial successes just because I refused to give up…on me, on an idea, a grea idea and even on others. 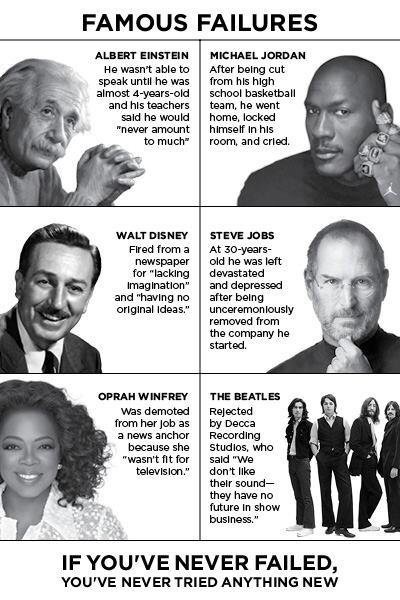 So my #WednesdayWisdom is to Never Give Up on you… Failure can motivate, teach and lead to success.